Crane safety is complex, but there are 7 basics that every employer should have in place to keep everyone safe. An incredibly high proportion of cases that St. Louis workers compensation attorneys take involve construction workers. One reason why is their use of cranes, which are very powerful and frequently cause injuries. 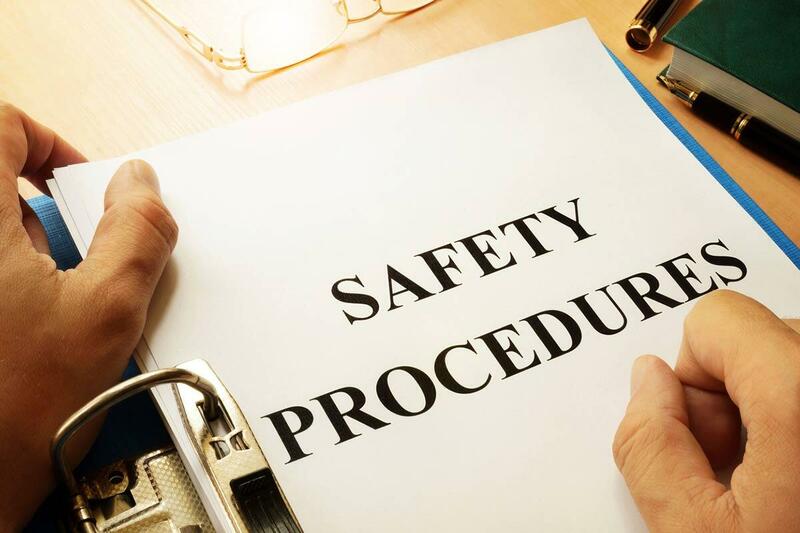 Employers have an obligation to keep their workers safe and one way of doing this is safety training. Crane safety is complex, but there are 7 basics that every employer should have in place to keep everyone safe. If your job involves working with or around cranes, you need to know and follow the safety guidelines. Your employer should provide the training and knowledge you need to stay safe at work! Though our safety tips are useful, your company should have a much more thorough list of guidelines. One of the best things you can do is go over them and apply them when appropriate. Doing so will keep you safe and ensure that your employer doesn’t accuse you of negligence after a work-related accident. When it comes to cranes, everyone who takes part in operating them should have proper training. This piece of machinery is not one that you can learn on the fly, so make sure you and your coworkers only do so after receiving adequate education. If you do see somebody breaking the rules, tell your supervisor. One thing that your workplace might have are safety cards. What they do is take proper usage guidelines and put them in a form that is easy to understand. If these cards are available to you, don’t hesitate to use them when working in or around a crane. As is true with any piece of machinery, cranes degrade over time. For this reason, it is a good idea to conduct regular inspections. Finding cracks, rust, or general wear and tear can be an indication that your crane needs repair and should not be used until your company resolves those issues. You and your coworkers may have to climb your crane at various points throughout the day. While doing so almost always goes smoothly, people occasionally fall. It is best to have fall protection systems in place for these events. If you do not have one, consider talking to your employer about the subject. Rushing through projects frequently leads to mistakes. Rather than going fast, try to make a realistic schedule and stick to it. Even if you fall behind, being a bit late is better than suffering an injury. There are many moving parts when it comes to crane usage. What you can do to stay safe is communicate with your coworkers and make sure you know what is happening at all times. Doing so should keep you out of dangerous areas and situations. Following the guidelines on this list will go a long way in keeping you safe at work. That being said, accidents can happen no matter how careful you are. The damages that come from them tend to be severe when working with cranes, so talking to a St. Louis work injury attorney is advisable in those situations. Though these accidents can be tragic, getting the benefits you need afterward helps a great deal. Hiring a skilled lawyer is one of the best ways to make that happen. At the Law Office of James M. Hoffmann, our legal team has a strong history of helping injured workers get the medical attention and financial compensation that they need. Call us today at (314) 361-4300 or fill out our online contact form. Although not based on negligence, you do have to be specifically engaged in work activities to be covered by workers’ compensation insurance. Statistics show that as many as 42% of all construction industry deaths are the result of construction workers falling. The construction industry is a very risky industry in which to be employed. For this reason, if you employ more than one worker in the state of Missouri, you have to carry workers’ compensation insurance. 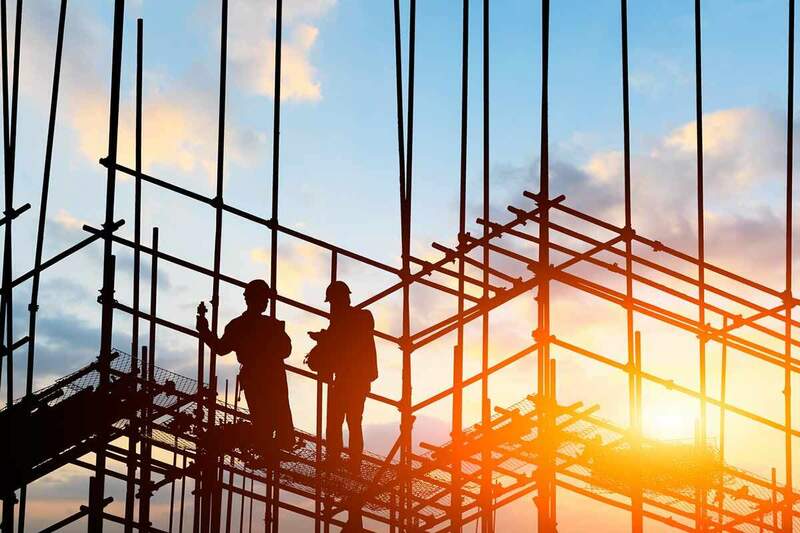 Unlike other industries where you need to have five or more workers to be required to carry insurance for your employees, the construction field is different. Workers’ compensation is a type of coverage that is meant to protect workers who are injured while working, but only if they are performing and engaged in the type of activities that are under the scope and the authority of their employment terms and duties. Although not based on negligence, you do have to be specifically engaged in work activities to be covered by workers’ compensation insurance if you are injured. When are you covered if you fall at work? If you were up high soldering a joint during a construction project and you slipped and fell, then that would be covered under workers’ compensation. But, if you climbed to the top to talk with one of your friends who was working while you were on break and you then fell, then you might not be eligible for compensation. So, although you don’t have to prove negligence on behalf of your employer, you do have to prove that you were working under the scope of your employment duties instead of doing something of your own volition. Can you sue your employer if you fall and are seriously injured? The stipulation to having workers’ compensation is that if your employer carries it, under most circumstances, you are not allowed to sue them directly for personal injury. Workers compensation will pay for your medical bills and any lost wages, not the company that employs you. You are not allowed to collect non-economic damages under workers’ compensation benefits. Therefore, your pain and suffering as well as any emotional distress that you might have suffered, would not be compensated by workers’ compensation insurance. What if it was an egregious or malicious act that led to your injury? Although workers compensation is not based on negligence, meaning that you don’t have to prove that your employer did anything careless that led to your accident, if they were negligent or malicious and it was blatant or intentional, then you might be able sue your employer directly. If you or a loved one have been injured by a fall at work, it is important that you contact a St. Louis work injury lawyer to make sure that you get all that you are entitled to, and to examine the specifics of your individual case to see what else is going on. Cave-ins are one of the most serious dangers confronted by the trench workers. All types of construction jobs involve some amount of risk. Among them, trenching and excavation work are considered to be more risky than the others. In this article, we will discuss the various dangers associated with trenching and excavation work. In recent years, 271 workers have died due to trench cave-ins and excavation accidents. Many of these accidents occurred in small companies where only a few workers were involved in the task. Moreover, most of the accidents could have been avoided. In addition, records show that at least 2 workers die every month due to cave-ins. So the guidelines laid down for excavation and trench work should be followed. They can help to make the work site safe for the workers. They can also prove to be helpful in averting accidents and protecting the workers from injuries. Trenches have to be dug at construction sites for installing electrical wiring, footings, and sewers. They are also made to access the structures below the ground. Workers performing different tasks in a construction project have to work in the trenches. 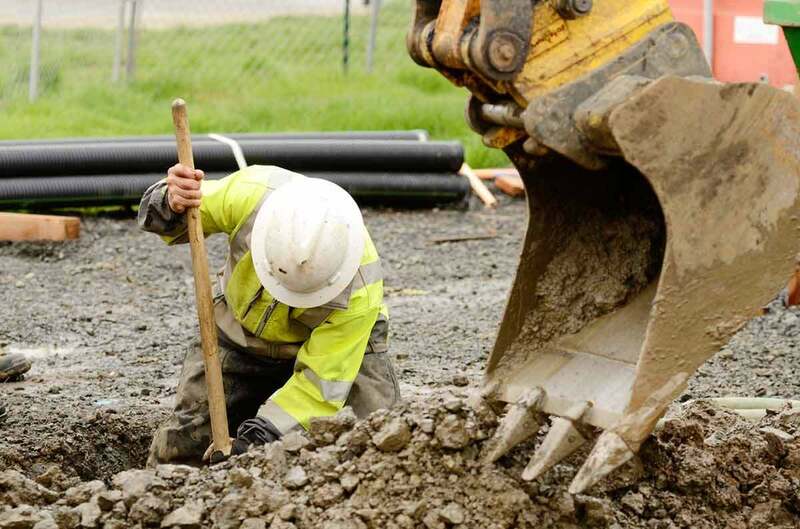 The workers who may sustain injuries while working in a trench are common laborers, electricians, HVAC workers, plumbers, iron workers, operators of heavy machinery, demolition workers and carpenters. Even the site supervisors and elevator workers and specialists are at a risk of getting injured at the site. There are many situations in which the trench workers can get injured. The walls of the trench may collapse which may cause serious injuries or even death. The workers may trip and fall in the cluttered areas or some object may fall on them. They may drown or get hurt due to explosions and fires. There are chances of electrocution in utility line accidents. Use of heavy machinery may cause accidents. Moreover, a worker may suffer due to low oxygen and concentration of toxic gases in the atmosphere. Cave-ins are one of the most serious dangers confronted by the trench workers. They cause the largest number of deaths compared to the other accidents related to excavations. The worst part is that the trench walls may collapse without any prior warning or sign. Cave-ins occur suddenly and bury the unfortunate workers under heaps of heavy soil. The machinery is moved too close to the border of the trench. A torrential downpour or a leakage of water makes the soil in the trench unstable. If there is no bracing or the shoring and bracing is not done properly. In case, the backfill material is left very close to the excavation. The safety rules and regulations are not followed and a protective system to brace the walls is not installed. Things like the type of soil and environmental factors have not be considered while performing the excavation. There are vibrations from vehicles and heavy machinery on the site. To prevent accidents suitable steps should be taken to avoid such situations. 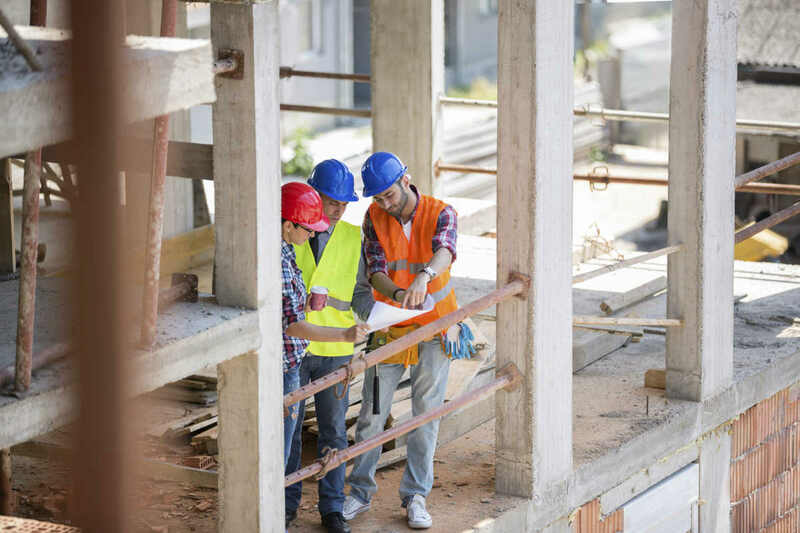 If you have suffered injuries while working on a construction site, you should get in touch with an experienced St. Louis workers compensation lawyer to understand your rights. Workers in the fracking industry are often exposed to dangerous chemicals such as benzene and silica. The oil and gas industry helps economy in various ways. The industry also offers jobs to a very large number of workers. More and more people are gaining employment in the field. However, the jobs in the fracking industry are often very dangerous. The workers are exposed to high levels of chemicals which are harmful to their health. Here are some of the risks faced by workers in the fracking industry. The evaluation of workplace hazards in unconventional gas and oil wells show that the workers are exposed to large amount of benzene, which is a carcinogenic chemical. It is found naturally in gas and oil excavation. Sometimes, it is utilized in the fracking process as an additive. The airborne concentrations of benzene and other hydrocarbons vary during flowback. So a conservative approach has to be adopted to protect the workers from exposure to it. Tests conducted in the past showed that the employees did not have unwarranted levels of benzene in their systems but the level of benzene in 90% of the air samples was beyond the stipulated standards for the workplace. Another significant point is that the chemical does not cause instant harm. The adverse impact of the workplace carcinogens may be visible later, after the worker is exposed for a long time on a regular basis. Another chemical which is found at the fracking sites is silicon dioxide. Silica dust can cause silicosis. It is an airborne byproduct which emerges during fracking. Silicosis is a serious lung disease which can lead to death. 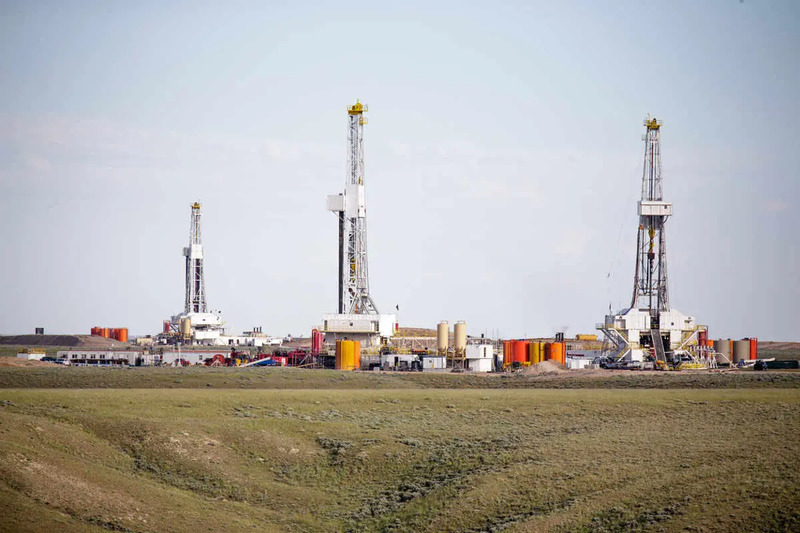 Some fracking sites have high levels of silica which exceed the safety limits. Respirators are not always sufficient enough to provide protection in such places. Besides being exposed to harmful levels of silicon dioxide and benzene, fracking workers can inadvertently be exposed to many other chemicals while performing their tasks. The chemicals which are trucked in and produced on the site can be dangerous for them. They may also be exposed to the hydrocarbons and radioactive materials which occur naturally. Due to these reasons, the fracking jobs are more dangerous than the jobs in other industries. The fatality rate is much higher in this industry. The rate is estimated to be 27.1 deaths per 100,000 employees. While the average fatality rate for other industries is only 3.8 per 100,000 employees. Drilling companies have a great responsibility to ensure that the workplace is safe for the workers. It is important that they take preventive measures so that the workers can work in safe surroundings. Suitable safety gear needs to be provided to the workers. The workers should be given training so that they can do the work efficiently and at the same time protect themselves. All this can go a long way in making the jobs safe and reducing the fatality rate. For more than 20 years, the Law Office of James M. Hoffmann has been helping injured workers get the workers compensation benefits they need and deserve. If you have been injured at work, call us today at (314) 361-4300 or fill out our online contact form to request a free consultation.